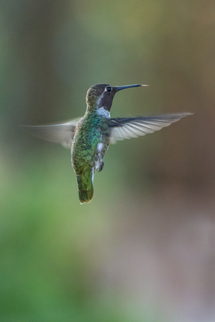 A hummingbird at my front yard feeder. A photograph can be found just about anywhere, from inside your house and around your yard to the house down the street, but to get those more exciting and/or more colorful shots you might need to travel around a bit. And, maybe, you just want to get out and travel around anyway. You’ve got the right camera equipment and some knowledge about how to take a photograph, now where to take one (hopefully more than one!). 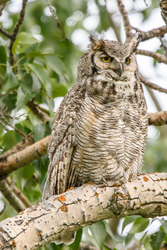 Maybe a coordinated and managed photography tour is the answer to the question for you. How do you go about finding a photography tour to suit your needs? Read on to find out a few answers. There are hundreds of web sites advertising photography tours with a wide range of prices and offerings. Picking one to go on can be a nail-biter since there is so much opportunity for something to go wrong. But, if you can define your needs and goals to begin with you will have a better understanding of what to search for to find that perfect, or almost perfect, tour for you. Some things to consider include: the overall cost of the tour; what the tour leader is including in the cost of the trip as far as transportation, lodging and food; over what period of time the tour takes place; what images you might be able to get a photo of; how much help is the tour leader offering someone new to photography or someone more experienced but wanting to learn more; does the trip include classroom instruction or is it focused only on taking photographs; is the tour leader licensed to enter any privately or publicly owned park land they plan to take you to for photographs; what kind of information does the tour leader provide regarding your planning for the trip; does the tour leader have a good reputation or any references from others who have taken the tour; what is the refund policy in case you cannot make the trip you have set up; are non-photographers allowed on the trip and how will that affect your goal of getting photographs. The above list covers only the basics of finding the right tour for you and other questions will arise as you begin to search for an appropriate trip. I’ve taken a number of trips over the last several years with several different tour leaders and each trip and leader has been distinctly different. I have always, however, come away with some good images and have learned something from each trip. Photography trips can range in price from as low as around $200 to as high as around $15,000 (although I did find one or two costing around $80,000 and lasting about 20 days with a private jet included!). Trips come in all “sizes” and ranges so there should be something available for every photographer, depending on what your needs are and what type of budget you have. Many trips seem to last from five to 10 days or so, at least from what I’ve experienced, although the trips in the $200-$500 are usually either a one- or two-day or a per day cost. Most trips include lodging and one or more meals and may include airport pickup and return service. In my experience, from taking lower-priced to mid-priced tours, trips do not generally include airfare nor do they include any lodging you might need to set up if you arrive early or stay later. Be sure to figure this type of expense into your overall budget, including airport parking or fuel if you are driving a long distance. Some tour operators, once in the area where you will be photographing, move you around in a van as a group while other tour operators may have you drive your own vehicle from place to place. I’ve taken trips that included classroom instruction and trips that did not include that feature. One nice thing about classroom instruction as part of the trip is that you usually have the opportunity for the tour guide to provide some critique of your work, either one-on-one or through a group slide show. Many tour leaders specialize in a certain type of photography, for example landscape or animal photography, and this means you can choose a tour leader that has knowledge in the specific type of photographs you want to take. I recently went on a photography trip to Yellowstone to take photographs of animals, just this spring, and that trip was very different from the trip I took to Yellowstone last fall, which was for me about the fall color so a landscape-based experience. Both guides were knowledgeable and both provided a good experience and delivered on their promises, but the places I visited on the fall trip and then the spring trip were very different. Be clear about your expectations of the trip and ask questions about the different images you might get if you are unclear about what to expect. Also, if the trip outline says you will be visiting a national park or any other public parkland or even private parklands ask the tour leader if they are legally licensed to operate their tours within the boundaries of that park. If they are not, you risk being tossed out of the park. 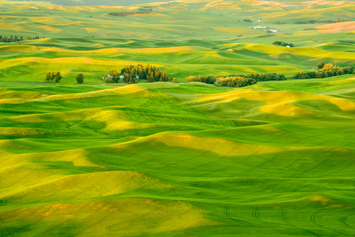 The Palouse is a very beautiful place to visit and photograph. Last year I went on a trip, which turned out to be what I consider very large in number of people signed up (15 people versus my usual choice of 5-6 people), to the Palouse area. Our guide had scouted out the area for three days just prior to the trip so he knew exactly where to take us to get some really nice colorful shots, including area barns. While there I saw some friends who were with another tour leader who had just arrived with them; I don’t know how their shots turned out but having a tour leader who knows what is happening in the area at the time you are there gives you a better chance of getting good shots so don’t be afraid to ask how well the tour leader knows the area and what scouting they have done for your upcoming trip. When I go on a photography tour the food and lodging are the last thing I worry about, but both of these things are very important to some photographers. If you fall into the group where these two things are very important to you be sure to ask questions about the type of lodging you will be staying in and the type of restaurants you will be eating in. It’s also important to understand that in some areas you visit the lodging and food choices are limited so you may find yourself staying in a motel that you would not normally choose and eating in a cafe with a limited menu. I can tell you, however, that for the most part you will be so tired from getting up at 4 a.m. and running around to get your shots that you won’t give it too much thought when you can finally get back and take a nap or sleep for a few hours before it’s 4 a.m. again and the alarm goes off. Be sure to let your tour leader know if you have any special dietary needs so that they can accommodate you if it’s possible. I often get groceries if there is a store available and eat very simply in my room. My spring trip to Yellowstone included a steady diet of peanut butter and jelly sandwiches interspersed with cheese sandwiches and I was a happy camper, as the saying goes. Again, I don’t go on these trips for the food: I’m all about getting the photographs. When I went on the Palouse trip last year there was a number of people in the tour that were not happy with the choice of restaurants and they also did not want to get up early to get photographs; many of the attendees were people who simply wanted to learn how to take a better vacation photo and their needs differed from the needs of the more dedicated amateur photographers on the tour and this created friction. If the tour allows non-photographers, such as spouses, to go along this, too, can result in friction as a spouse or non-photographer may have other ideas of how such a trip should go. Be sure to ask what type of cliental usually goes on the tour you are considering. Also, be clear as to the number of total people allowed on the tour; a group of five people in one van is a very different experience than a group of 15 people in two or more vans. Tour leaders want you to be happy, but sometimes the choices they have to create your happiness is limited so it’s best to understand this right from the start. It’s also good to understand exactly what the tour operator is offering along the lines of education. I’ve gone on trips where a tour always includes a classroom session on how to use some type of development software and a sharing of work done on the trip while other trips were all about just getting the photograph and there was no classroom instruction or sharing of photographs. I’ve also gone on trips where the tour operator provided either hands-on or verbal instruction for a particular scene and have been on other trips where the tour operator was more interested in getting the shot than in giving advice. If you can, do a web search to see if there is any information on the particular tour operator you are considering booking a trip with, but be forewarned that the information you read may not be completely accurate: each tour operator may get along with some of their clients and may not get along with other clients, as each personality is different and a week can sometimes be a long time together. Do make every attempt, once on a trip, to respect and do what the tour operator requests. I’ve made the mistake, it was an “in the heat of the moment thing,” of doing the wrong thing and this did not go over well with the tour operator: I did apologize and was truly sorry but it put a damper on the trip as the tour operator took it very much to heart. My personal advice is to try and contain your enthusiasm when it’s needed. (I’ll be adhering to my own advice in the future!). In general, do not be afraid to ask the tour operator any question you may have prior to signing up and paying your deposit. The more prepared you are the more likely it is that you will be happy with your choice. Generally, you will pay the required trip fee in installments over the course of several months with the first installment at sign-up time. You might also consider buying trip insurance as one never knows what the future holds. And, read the tour operator’s refund policy very carefully as they generally stick to that policy. Also, be sure you bring along the correct equipment: many photo cards, batteries and chargers, a laptop or other device to download and back up photos, a tripod, a second camera in case the first one breaks, and a selection of appropriate lenses and lens foot plates for the job at hand. Tour operators generally provide you with a list of equipment and clothing that they recommend: pay attention to this list! Taking photography trips with an experienced tour leader is a wonderful way to see new places, make new and lasting friends, and learn more about photography equipment and gear, not to mention, of course, getting great photographs. One of the best ways to become a better photographer is to simply take photographs and signing up for a photography tour allows you to do this while having a great time with other photographers. 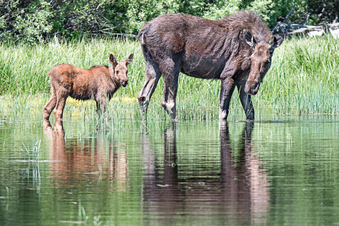 Mama and baby moose,Teton National Park. Once you’ve wetted your appetite for signing up for a group tour you can start to experiment with setting up a one-to-one session with a photographer that you admire who can teach you more specifics about the type of photographs you want to take. I’ve done this twice now and each time was wonderful and truly a learning experience. This year it helped me to get the photo of the mama and baby moose that I wanted last year and did not get. It can, however, be expensive. However you plan your photography outing know your goals, do your research, ask questions, and lay out your approach with care, then have a great time and learn all you can from that trip leader. If you know what you want out of a trip and do the right research, including asking others who might have taken such a trip, you stand a better chance of having a great trip and getting those wonderful photos that you desire.